The Leading Age Services Australia (LASA) Congress in Adelaide last week could not have better timed following the announcement in October of the Royal Commission into aged care quality and safety. Unsurprising then that 1200 delegates – the highest attendance ever – capitalised on the Congress, which focused on the future of the aged care sector: innovation, finances, governance, and quality and safety. Five of our Health & Aged Care leaders were there, and five major concerns emerged from our conversations with providers at the Congress: implications of the upcoming Royal Commission and what this will mean for the sector, creating a funding model that reflects the continuum of experience of consumers that will be sustainable into the long term, the intersection of disability and aged care services, new models of care and current and future challenges relating to finding and keeping the right workforce. While there are no quick answers or solutions to any of these concerns, there was a great deal of robust discussion around the topics, and exciting challenges to the status quo proposed by people making a real difference in the lives of our elderly both here and overseas. We expect there will be issues and implications across the broader social care sector that relies on a workforce that often works with minimal supervision and support – including disability, welfare and supported housing and mental health services. This Royal Commission is a wakeup call for everyone involved in social services. Dr Graham Blackman AO chaired a reflective session on governance with many providers indicating they could make improvements. Access to talent and Board renewal were key features of questions raised by rural and remote providers, struggling to understand the risks that are emerging with increased departmental scrutiny and changes to funding. There is a clear focus on improving service delivery and several congress sessions considered emerging models of dementia care, the transition to consumer controlled packages in residential care, alternative models of retirement living and the continuum of experience of our elderly. New models of dementia care are being translated from the Scandinavian experience with “village” styled services currently being developed. 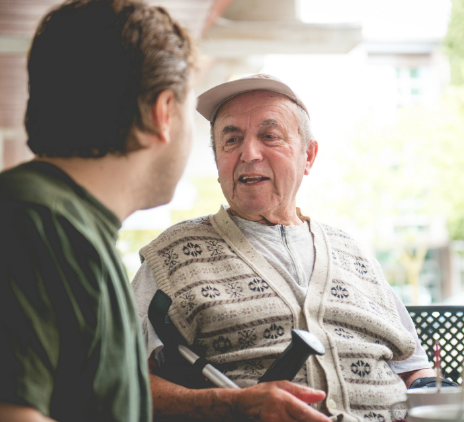 The idea of “intentional communities” where the aged care and disability services are integrated with the broader community is a concept gaining traction in the minds of providers. There was certainly a lot of interest in the intersection of the aged care and disability sectors, with active discussion between panellists and providers. Concepts of design thinking and co-design principles guide much of the discussion. Delegates were introduced to a number of sessions that raised questions over the ongoing funding model and the role that the Royal Commission will play in considering and developing a sustainable future for ALL providers. Given that 42% of providers are no longer financially viable this will have far reaching impacts on the sector. The funding discussions were tied to the delivery of quality care services as a sustainable industry will be able to deliver a full suite of appropriate services to people in need at a reasonable economic price. One of the highlights of the Congress was the focus on workforce. In his session on Building and Keeping a Care Workforce, Neal Eastwood from the UK highlighted some excellent research outcomes about recruitment and retention across the social care sector. Neil highlighted the madness of relying on many of our existing recruitment practices that often deliver large numbers of potential employees that either don’t follow through to commencement, or leave soon after employment. There will be a fairly large number of people delving deeper into Neil’s book “Saving Social Care”. One of his key messages was to, where possible, utilise the personal networks of high quality existing staff to identify and recruit like-minded individuals. They know your organisation’s culture and values, and can recommend people in the industry that are more likely to have and uphold those same values. And once you have these quality people, then the challenge is to keep them by providing meaningful work, a happy and safe environment, and work / life balance. Research suggests that older people who experience extreme loneliness are up to 27% more likely to die prematurely. By helping to make connections between neighbours and communities, no matter how small, can help to significantly improve the quality of life for someone experiencing loneliness. For many attendees a highlight of the Congress was the presentation about the One Good Street program provided in an inner Melbourne suburb. This initiative is tackling social isolation and giving practical support by harnessing neighbourhood volunteers and resources – with innovative coordination via social media. Community nurses from Bolton Clarke are referring older people in need to the One Good Street program where they are connected to the support they need, be it a cool place to go on a hot day, aids and equipment, social connections with neighbours or other things. Real local support and connection at NO COST to government or the consumer and not constrained by queues or overregulation. What a great idea, and so easily adapted to support people with disabilities, new mothers, or anyone else missing a sense of connection and in need of support. LASA and its members see the Royal Commission in a positive light, a vehicle that will create the opportunity to identify areas of operational improvement, better care outcomes for care recipients and enhanced conditions for staff. 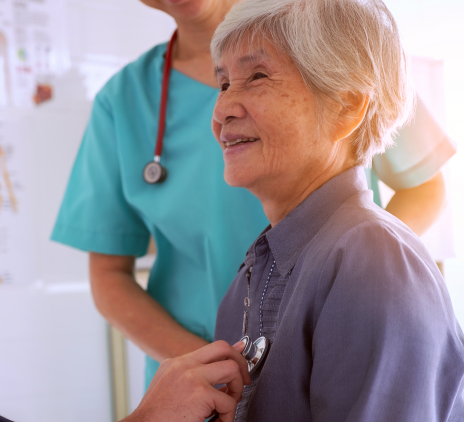 The appointment of The Honourable Justice Joseph McGrath and Ms Lynelle Briggs AO indicates the optimism is warranted with providers seeking to actively engage in the process to get the best outcomes for care recipients, carers and providers. What was made clear during this year’s Congress is that there is room to think differently about how we deliver quality aged care services and ensure have the right people helping to support our greying population. Next year the Congress will be back in Adelaide – also the home base of the Royal Commission – where there will no doubt be much more to discuss around how the aged care sector can bend and adapt to outcomes from the Royal Commission and requirements from consumers.